Australia is in with a shot to qualify for the Hopman Cup final after beating Spain in a thrilling tie on Wednesday night in Perth. 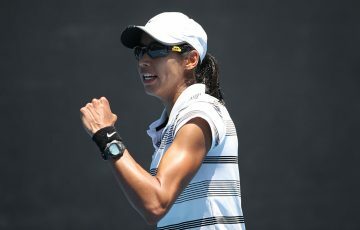 Two of the world’s best players stand between Australia and a place in the Hopman Cup final in Perth on Saturday night. 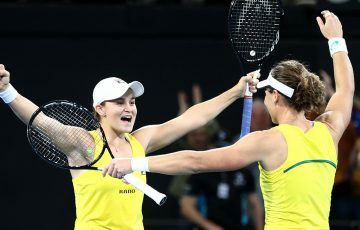 For Ash Barty and Matt Ebden to finish on top of Group A and advance to the decider, they will need to beat tournament favourites Germany, represented by world No.2 Angelique Kerber and world No.4 Alexander Zverev, in their tie on Friday night. The remain in the hunt for a spot in the final after beating Spain in a thrilling tie on Wednesday night. Barty beat Garbine Muguruza in straight sets to open the tie, her second singles victory of the tournament. “It was a little bit cleaner tonight than it was the other night,” Barty said, referring to her earlier victory over Alize Cornet of France. 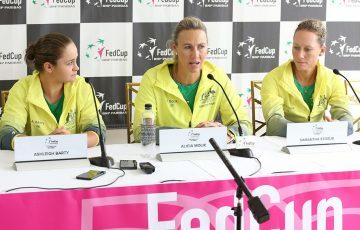 “And I think that’s what we’re after, just one step at a time, to continue to get better and better as we head towards the Australian Open. 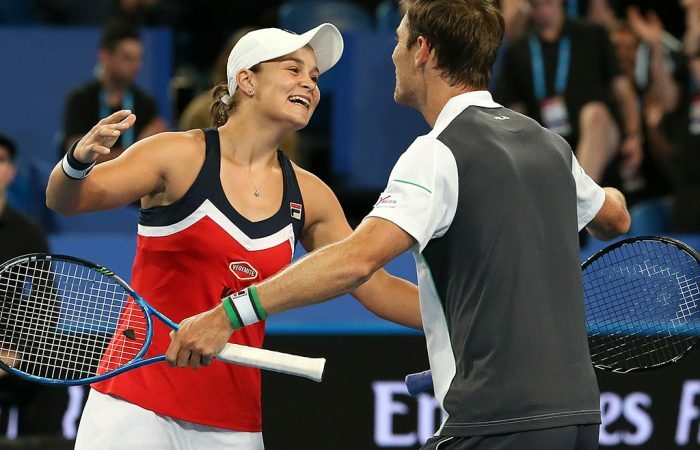 David Ferrer beat Ebden in two tight sets before the Aussies returned to the court and won a thrilling mixed doubles rubber 3-4(3) 4-3(0) 4-3(3). When Australia faces Germany, Ebden will face Zverev for the first time. 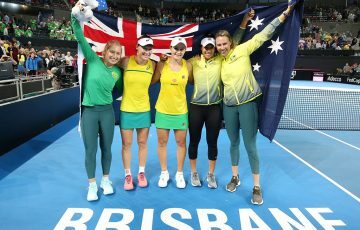 The ledger stands at 2-2 between Barty and Kerber though, with the Australian claiming wins in two of their past three outings, including a straight-sets victory the last time they met, in China late last year. So, although Kerber is unbeaten in six singles matches in two years at the Hopman Cup, she is wary of the improving Barty. “It’s always tough and good to play against her,” she said. “We played so many tough matches in the past. And here at home, she loves to play here. 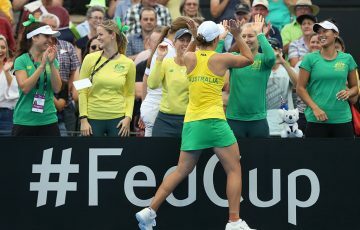 Barty finished 2018 in a career-high 15th placing in the world rankings. Despite not dropping a set against either Cornet or Muguruza, she knows she will need to lift her game even further if she is to get past Kerber. “She is one of the best competitors in the world; it’s another level again,” she said. “I will have to serve well again. And it’s a little different against a left-hander with a serve coming in. Kerber has also beaten both Cornet and Muguruza in the past week, but dropped a set to each. 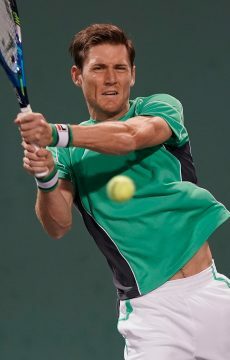 Ebden has had a mixed tournament, beating Lucas Pouille of France before falling to Ferrer. Zverev beat both players, but like Kerber, also dropped a set in each victory. Both Germany and Australia are chasing their third Cup titles. 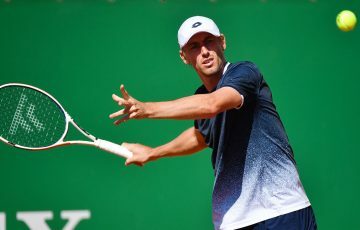 The hosts last win was in 2016 when represented by Nick Kyrgios and Daria Gavrilova. Boris Becker and Anke Huber last claimed the championships for the Germans in 1995. The winner of Group A will most likely face the defending champions Roger Federer and Belinda Bencic of Switzerland in the final.